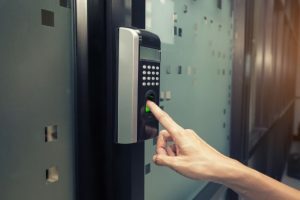 Why Do I Need Access A Door Entry System? Security should always be at the top of your agenda. Keeping your business safe and secure may seem like a difficult chore. In this blog, we will explain what a door entry system is, how it works and the benefits of an entry system. In the past, door entry systems used the old audio-only systems that we still see in a lot of apartment complexes. The way the system used to work was that when a guest pressed a button on a panel at the door it would call the phone of the resident or front desk of a business. When the phone was picked up they would be connected as if it was a regular phone call and if you wanted to allow access you’d press a button on the phone or a dedicated button to open the gate/ door. Now we have automated systems that can open doors with no user intervention needed. This type of entry system has been the main method of locking and securing doors for many years now. Though the key and lock method are secure it does have many downfalls. These locks have been around for a long time, the earliest lock to be found was in 4000 B.C. These types of locks are a standard today, they’re installed on every front door. Every day people trust these locks to keep their family and property safe. These locks are good for most small businesses and some big businesses. Keypad locks are simple and cheap to install, they’re great for security as you won’t need to get keys cut and the passcodes can be changed anytime. This type of access control is great for a business that needs security but doesn’t have the budget for a full access control system. These locks can be used on certain doors that need more protection than others or it can be used on all your businesses doors to maximise security. This is a very secure method of opening a lock as it solves a lot of the downsides of using a mechanical lock. 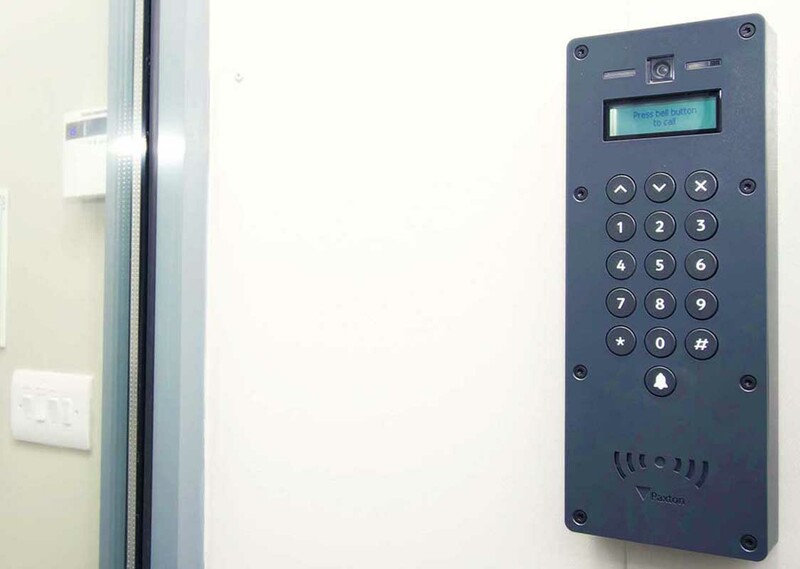 Fingerprint access is great for a business that needs a bit more security than a keypad or a card access system. This type of access control uses a person fingerprint to match them to a profile that has all the info on which doors they can unlock. These can be set up on singular doors or can be set up in a multi-door setup. Card access is a nice compromise between keys and monitored access. You can allow some key cards to open certain doors but not others or let them access all the doors. They can be cheaply replaced. Any lost cards can be disabled from accessing any doors. 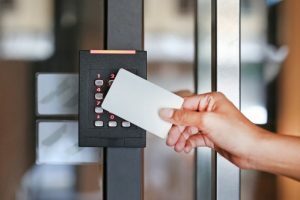 Card access is great for businesses that need to give access to multiple doors without compromising on security. This type of access can be used for small businesses to large corporations that need to have restricted access to certain areas. We hope you found this article helpful and informative. If you liked this article you should take a look at some of our other blogs. Useful info. Lucky me I discovered your website unintentionally, and I am shocked why this accident did not came about earlier! I bookmarked it. wonderful submit, very informative. I’m wondering why the opposite experts of this sector don’t realize this. You should proceed your writing. I’m sure, you’ve a great readers’ base already! Greetings from Idaho! I’m bored to death at work so I decided to check out your site on my iphone during lunch break. I enjoy the info you provide here and can’t wait to take a look when I get home. I’m amazed at how quick your blog loaded on my mobile .. I’m not even using WIFI, just 3G .. Anyways, fantastic blog! fidjerbpvf,This website truly has alll of the information and facts I wanted about this subject and didn?t know who to ask.